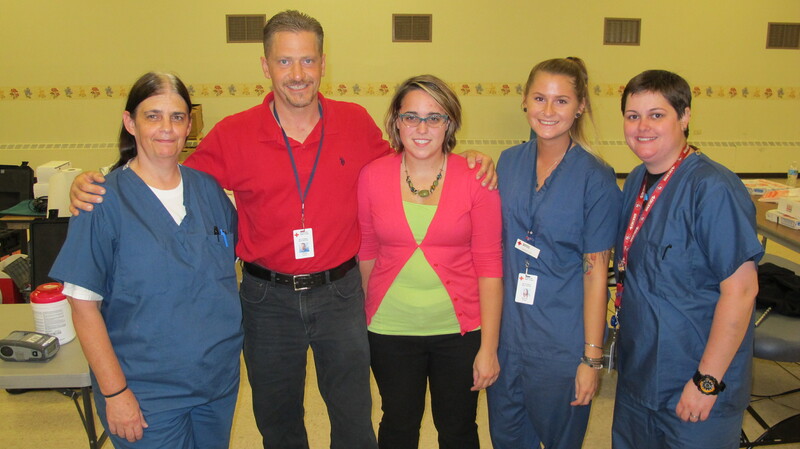 Pictured from left are Brenda Houser, double red cell tech; Ken Yanora, mobile unit assistant; Katlyn Stasko, charge position; Samantha Burgi, nursing tech; and Lisa Provac, double red cell tech. Pictured are American Red Cross Blood Drive personnel during last month’s blood drive held at St. John’s United Church of Christ in Tamaqua. Click HERE to view this photo on Facebook.